Restrictions apply. See participating Toyota dealer for details. OEM, OEA and WIN replacement tires only. Tires must be dealer-installed. Three tires at regular price, fourth tire for one dollar. Fourth tire must be of equal or lesser value. Excludes mounting & balancing, sales tax, shop supplies, tire disposal, & other applicable taxes. Excludes previous purchases. Toyota & Scion vehicles only. Offer only available at participating Toyota dealers 3/30/18 – 4/30/18. ©2018 Toyota Motor Sales, U.S.A., Inc.
Great Experience helpful staff from Laura in sales to the finance people would definitely recommend this dealership!!! Tim was very helpful and easy to talk to. He made it easy to purchase my new car, and he was very kind to my grandmother during the purchasing process. This was just a very pleasant car buying experience. I got what I wanted all the way around. Everyone was great, everything went well. I completed an online credit application, went to the dealer, I new they didn't have the car I wanted (Avalon - Touring) but I gave them details they found a car and had it in there dealership in 2 days. Tyler Moncrief was great, he made sure I received the car I was wanting. The finance Manager was excellent explained all my options and I was very happy with the whole experience. Heyward Allen is the best! On the same day I had great interactions with Levi Taylor in the service department and Chris Beusse, the new manager of the collision center. Prompt, courteous and thoughtful service. No one does it better. Such a smooth process and wonderful salesperson, Tim Jump. We will definitely be coming back in the future for a vehicle purchase. Maria was very helpful and informative. Held our hand and walked us through from begining to end made sure we were comfortable with our vehicle purchase. Phil did everything possible to find the perfect car at the perfect price. He also made the paperwork easy and go quickly. July explained all the paperwork and possible maintenance plans to us. I am so grateful to the Heyward Allen Toyota dealership, they were so professional and kind and never pressured me into anything. They answered all my questions and made the process of buying my new car so easy! Phil Cross especially was the best and I feel so lucky he was my salesman. Thanks you guys, I am loving my new Corolla!! Whether you have purchased your vehicle from us or not, Heyward Allen Toyota is your destination for auto service and repair in Athens, GA. Our team of specially trained technicians has the know-how and tools at their disposal that enable them to provide quality repairs and maintenance for all of our clients during every visit. If you’re in need of service or repair for your vehicle, you can conveniently schedule your next service check-in time online, and we’ll contact you to confirm the details! We’re proud to serve our valued customers from Monroe, Gainesville, Northeast Georgia & Buford and throughout the Athens area. At the Heyward Allen Body Shop, we can repair your vehicle to the original manufacturer specifications and quality. With over 5,000 vehicles repaired in just the last few years, our technicians have the skills and experience necessary to meet these standards. Our factory trained technicians will complete the repairs to your vehicle in a timely manner. Our written warranty is to keep the vehicle only as long as is necessary for a safe and quality repair. Looking for the perfect used car in Athens? Find your next pre-owned Toyota today! 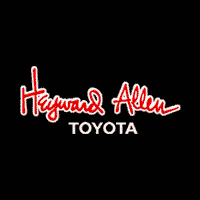 Welcome to Heyward Allen Toyota dealership’s website. Here you’ll find all the information you need to make an informed purchase of a new Toyota or used car at our Athens car dealership. If you’re looking for a Toyota in Athens, stop by Heyward Allen Toyota where you’ll get a great price and great service! While you’re visiting our dealership’s website, take a look at our inventory of new Toyota’s, including the Camry, Camry Hybrid, Corolla, Prius, 4Runner, Tacoma, RAV4 and Tundra for the Athens region. Heyward Allen Toyota is one of the leading providers of new and used Toyota cars to Athens thanks to our quality automobiles, low prices, and superior sales staff. We encourage you to come and visit us at 2910 Atlanta Highway to view our selection in person, speak to a sales professional or take a Toyota Camry, Corolla, Land Cruiser, Prius, Avalon, Yaris, RAV4, Land Cruiser, Tacoma or Tundra in Athens for a test drive. Looking for the perfect used car in Athens? Heyward Allen Toyota in Athens has many used cars from the top auto manufacturers of today, and we have our mechanics fully inspect the vehicles prior to going on sale. So for a quality used car in Athens, visit Heyward Allen Toyota. Select from pre-owned cars, convertibles, trucks, mini-vans, SUV’s, sports cars and more all at one location. The financial experts at Heyward Allen Toyota are available to answer your questions regarding car loans and leases. Have a question about interest rates, loan terms, or programs for individuals with bad credit, or no credit at all? At Heyward Allen Toyota we’ll help you get auto financing quickly so you can go about your busy schedule with your new vehicle. For truly helpful assistance in securing a car loan in Athens, visit us today! Looking for dependable auto repair in Athens? Visit Heyward Allen Toyota for all your automotive service needs, and know you’re getting the help you deserve from industry experts. We provide the Athens region with Toyota car repairs done to factory specifications to ensure your vehicle is always performing at its best. We also keep a wide selection of original Toyota car parts for quick order fulfillment. If we don’t have your auto part in Athens in stock we can acquire it quickly. We also have an auto body repair shop in Athens in case you’ve been in an accident. See one of our new or used cars in person by visiting our Athens dealership at 2910 Atlanta Highway. Don’t forget to check out our about us page or our PreOwned Cars on Sale or our New Toyotas on sale . We are looking forward to serving your automotive needs. Our Toyota dealership serves Monroe, Atlanta, Buford, or Gainesville, stop by or call us today to see how we can assist you.